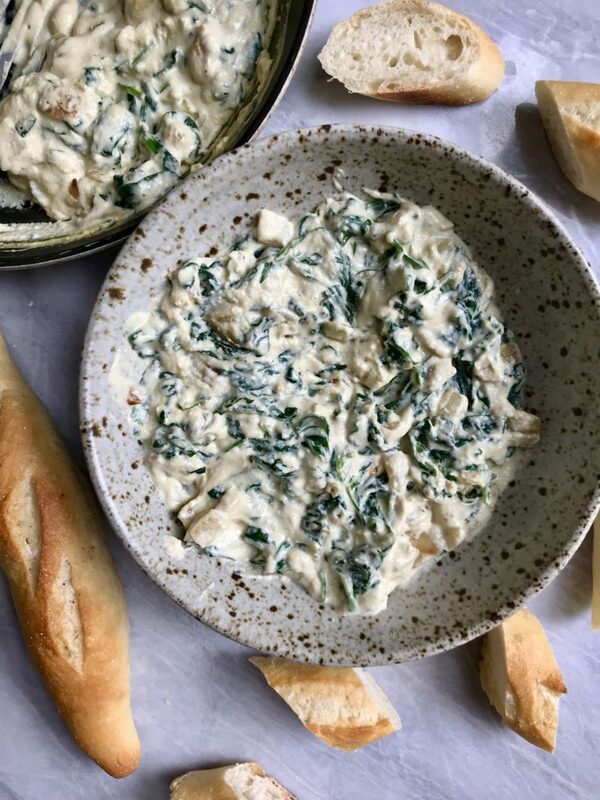 Get game day ready with delicious & simple spinach dip! 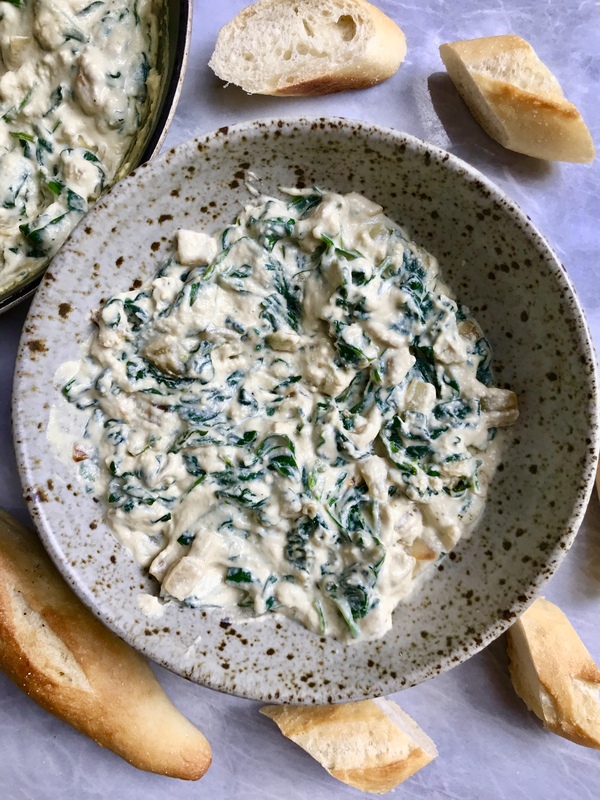 With the Super Bowl around the corner, I wanted to create a easy but delicious dish you can serve! 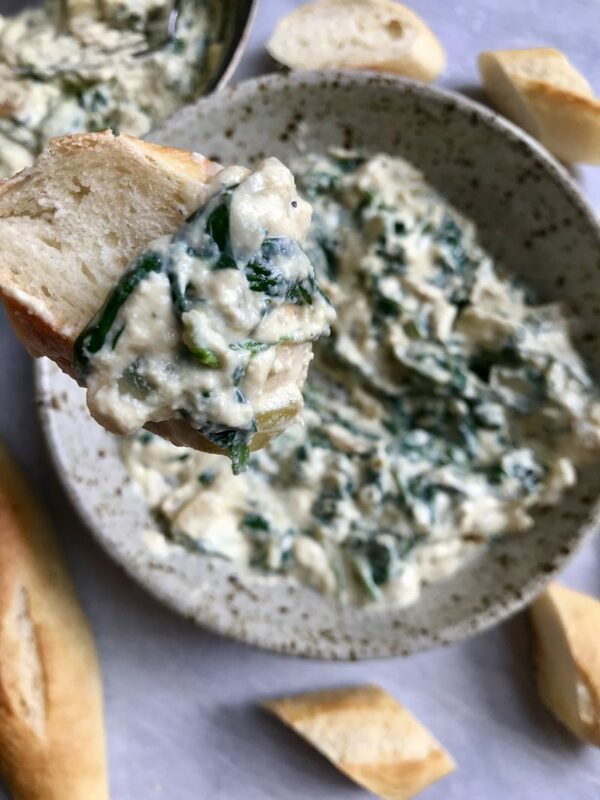 Spinach dip is SUCH a favorite of mine and I wanted to create one that is Vegan but also nut free for you guys! I’m not going to lie, I am not a big football person. I’m the one who watches for the commercials, half time & to eat the food. My boyfriend LOVES football so I just sit on my phone until a cute puppy commercial comes on. Feel me? I really hope that you enjoy this recipe! In a blender combine your tofu, sunflower seeds, nutritional yeast, lemon, mustard & salt to a blender. Blend until smooth. In a large saute pan on medium heat add in your butter & diced onion. Cook onion for 2-3 minutes and add in your garlic. After 30 seconds, add in your spinach and cook until wilted. Add in your sauce and cook for 2-3 minutes or until thickened up! Serve with bread, crackers, etc. Next Post Homemade Seitan & My Favorite Way To Use It.